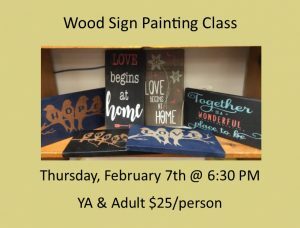 Create your own stylish wooden sign to decorate your home. All materials will be provided. $15 Materials Fee due by 1/24. Please see the library to choose a sign template when paying. Registration is required and space is limited.